Lincoln Certified, GREAT MILES 11,190! Heated Leather Seats, Navigation, Satellite Radio, iPod/MP3 Input, Onboard Communications System, CD Player, Back-Up Camera, TRANSMISSION: 6-SPEED SELECTSHIFT AUT... SELECT PLUS PACKAGE AND MORE! Leather Seats, Heated Driver Seat, Back-Up Camera, Satellite Radio, iPod/MP3 Input, CD Player, Onboard Communications System, Aluminum Wheels, Remote Engine Start, Dual Zone A/C, WiFi Hotspot, Smart Device Integration, Heated Seats, Heated Leather Seats. MP3 Player, Keyless Entry, Steering Wheel Controls, Child Safety Locks, Electronic Stability Control. SELECT PLUS PACKAGE BLIS (Blind Spot Information System), cross-traffic alert, Navigation System Note: Also includes SiriusXM Traffic, and Travel Link, Service not available in AK/HI, ENGINE: 2.0L GTDI I-4 (STD), TRANSMISSION: 6-SPEED SELECTSHIFT AUTOMATIC paddle shifters (STD). 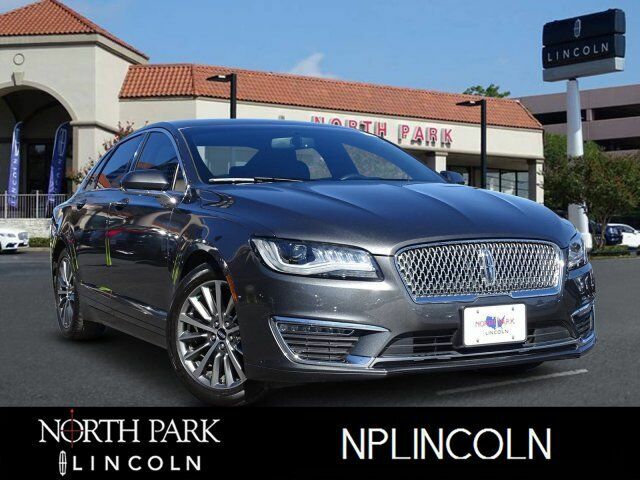 2017 Lincoln MKZ with Magnetic Gray Metallic exterior and Ebony interior features a 4 Cylinder Engine with 240 HP at 5500 RPM*.